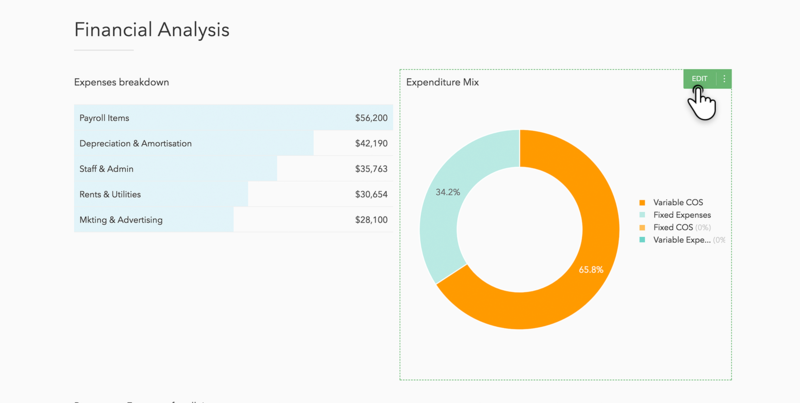 Pie charts are useful for the analysis of a composition of accounts, such as key expense or revenue accounts. Pie charts can be customised to include any metric. 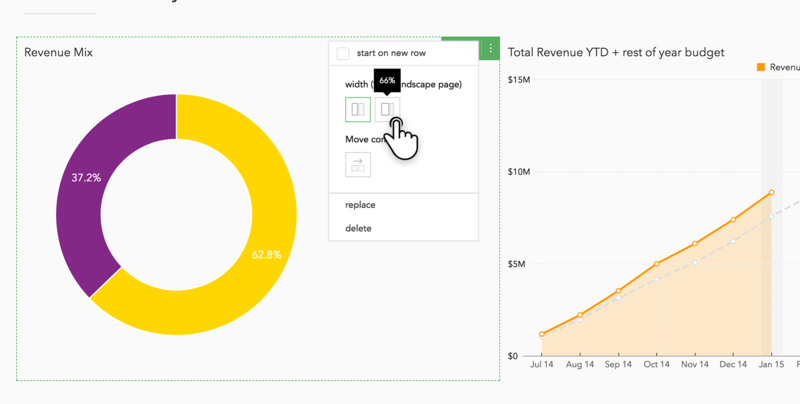 To add a pie chart, click the '+' button in the Report Editor. 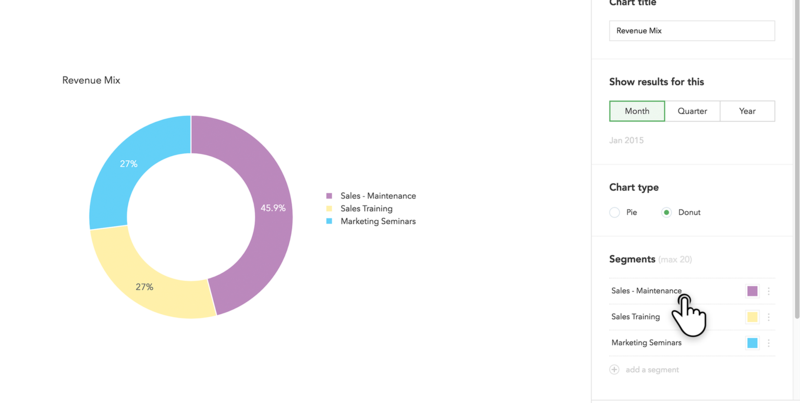 From the Content Library, you’ll be able to choose from a range of available pie charts. You can filter by Category in the top right for easy selection. Pie charts can be easily customised by hovering over the chart and clicking ‘Edit’ to bring up the properties panel. From the properties panel, you can customise the charts title, the segments in the chart, the date range under analysis, and whether the chart is presented in pie or donut format. 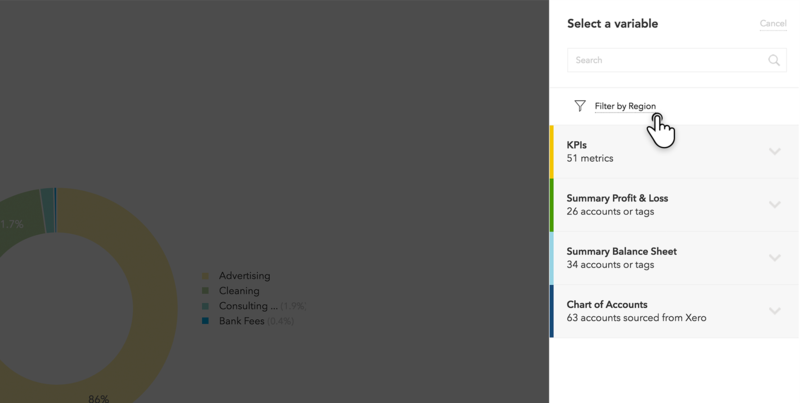 You can also select the colour of each segment in the chart. What's the difference between a pie chart and a donut chart? Donut charts and pie charts represent the same information in different views (open centre or completed ‘pie’). For pie charts, there is an added value in the ability to assess the angles of the pie segments to make more sense of the data. Both charts are typically used for the comparison of a part, to the whole. 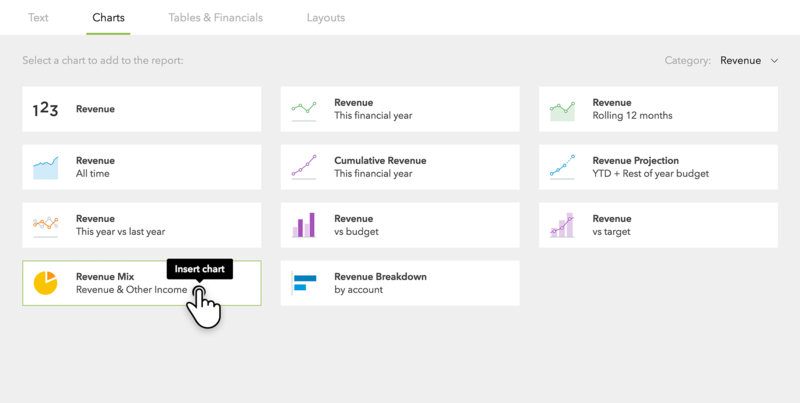 Under 'Segments', choose the 'add a segment' option to add a new segment to the chart. A segment can be: any KPI, any item from the summary P&L or Balance Sheet, or any item from the Chart of Accounts. You can have a maximum of 20 segments per pie chart. You can also change an existing segment clicking on it and selecting a new segment. If the company in question has divisions imported, you can choose to filter a segment by division. This can be useful for comparing expenses or revenue across departments, locations, or any divisions in your business. You can also choose whether or not to include a legend in the chart, or show the white space between each segment for clarity. You can increase the size of a chart by hovering over it and choosing a larger width.